On March 15, 2009, Apostle Price installed Pastor Price, Jr. as the Senior Pastor of Crenshaw Christian Center, making Angel First Lady to the congregation of a large and robust ministry. As she embarked upon her new role as First Lady, Angel elected to look to her Heavenly Father for guidance and wisdom, while maintaining a sense of self that speaks to her age. In recent years, she has continued the work that the Big Sisters Program began by individually mentoring young women. 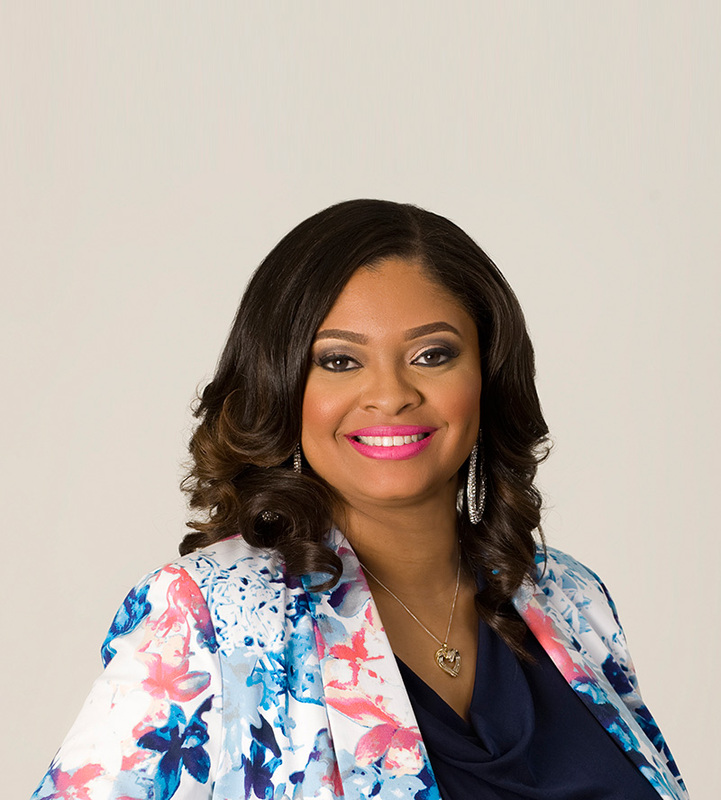 Affectionately called her “Priceless Rubies, Angel has counseled several young ladies in the areas of self-esteem, confidence, as well as dating and marriage. She has been featured on the popular Los Angeles based radio station KJLH, where she spoke to the importance of young women knowing their worth. Angel’s heart is for the development of the whole woman, inside and out. She spearheaded the start of a free aerobics class, called “Faith and Fitness,” and provided a safe, fun, and stress-free environment for women of all ages to work on mastering healthy lifestyles. Additionally, she created the Marriage Encounter, a quarterly service for all married and engaged couples. During these awesome times of sharing, she has brought seasoned speakers of all ages to sow into the marriages of the CCC families in fun and creative ways. First Lady Angel continues to pray diligently for the members of Crenshaw Christian Center and is committed to serving them, as she is led by the Holy Spirit. One of the ways she has served the congregation at large and encouraged the members of CCC to strengthen their faith is by leading intercessory prayer. Moreover, she hosts an annual Prayer Walk, at which all participants march around the sanctuary and intercede for the continued growth of the ministry, the church leadership, and the needs of God’s people. First Lady Angel loves the parishioners of CCC dearly, and is grateful to serve them alongside Pastor Price, Jr.